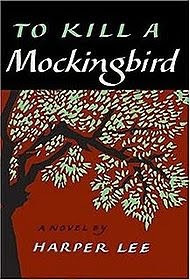 Fifty years ago, on July 11, 1960 one most influential fiction book was published in the United States: To Kill A Mocking Bird. It never went out of print and still reaches almost a million readers annually. It is the second-bestselling backlist title in the country, and has only been outsold by the novel "The Kite Runner". The reclusive author, Harper Lee, who was in her early 30s when the book was published, never wrote another book. In 1961 it won the Pulitzer Prize. In 1962 an Academy Award-winning movie adaptation was released starring Gregory Peck. More than 50 events are planned this summer in honor of the 50th anniversary of the publication of TO KILL A MOCKING BIRD. Harper Lee's hometown, Monroeville in Alabama has a special 50th Anniversary weekend planned. Who says people don't read books anymore?